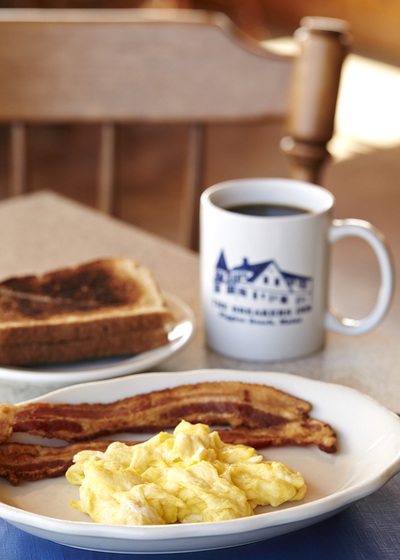 Breakfast is served in our dining room on the main floor. Please be seated between 8 and 9 AM. Early coffee is available by 6:30 AM. 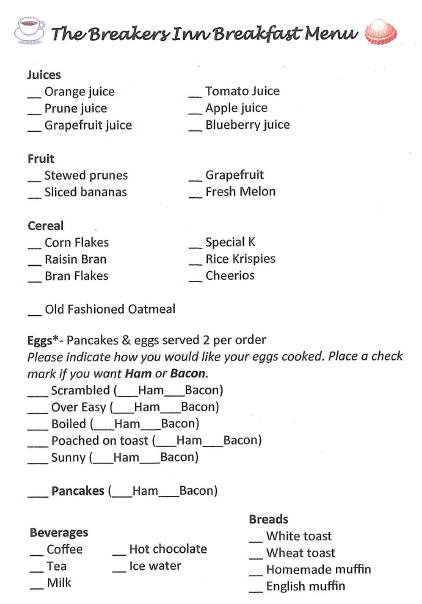 We serve a full breakfast menu including eggs cooked to order. 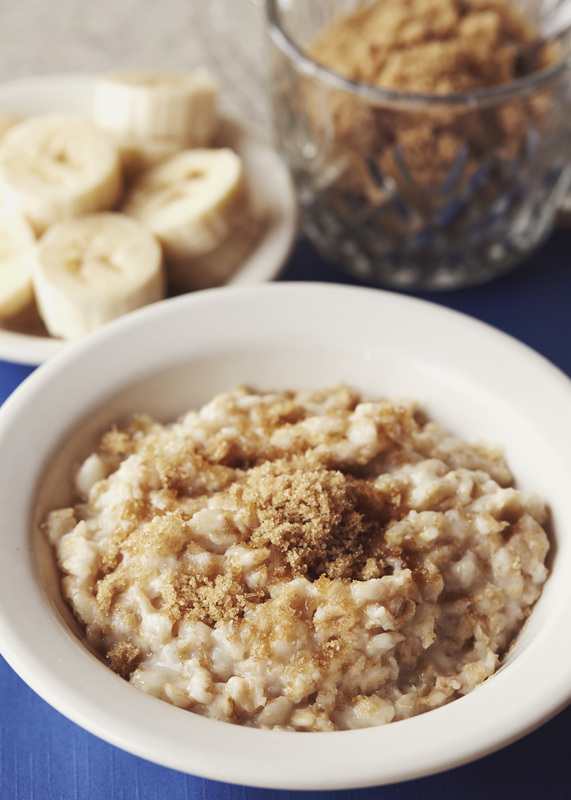 Muffins are baked daily, and slow cooked old fashioned oatmeal is a traditional favorite. During July and August, picnic lunches are available in the kitchen between 12 noon and 1 PM. 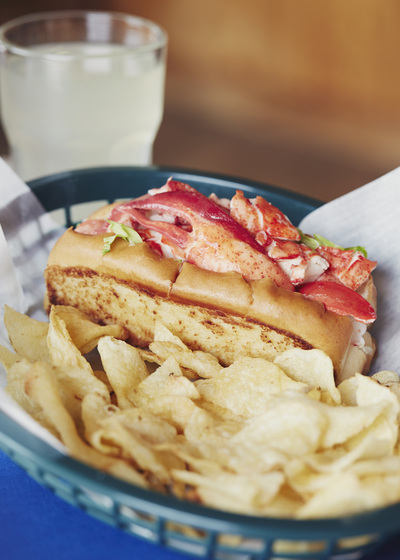 We serve a variety of sandwiches, lobster rolls, soft drinks, tea, coffee, and cookies. We do not serve evening meals on a regular basis. Menus for several area restaurants are on the registration table. We are interested in your comments and experiences at these establishments.